RCMP Alberta - On September 27, 2017 at approximately 11:15 pm, a resident of Springbrook, Alberta was robbed and attacked by several individuals armed with a firearm and machete style knife. A struggle ensued between the male and his attackers relinquishing them of their firearm. The attackers then proceeded to continue striking the male with a machete style knife causing serious bodily harm. The male then had his vehicle stolen after being attacked. The male was able to walk away from the scene, into Springbrook, where a vehicle stopped and assisted the male with his injuries and calling for emergency services. The male was transported by ground ambulance to Red Deer Regional Hospital for treatment. His wounds are considered serious, but not life threatening. The victim's stolen vehicle is a 2007 Black Dodge Nitro bearing Alberta licence plate BDR0343. Should this vehicle be located it is requested that you call police immediately. 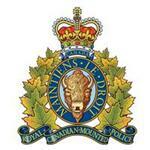 This matter is being investigated by members of the Blackfalds RCMP Detachment. If you have information about this incident, please call the Blackfalds RCMP Detachment at (403) 885-3300 or call your local police. If you want to remain anonymous, you can contact Crime Stoppers by phone at 1-800-222-8477 (TIPS), by internet at www.tipsubmit.com, or by SMS (check your local Crime Stoppers www.crimestoppers.ab.cafor instructions).